It's common knowledge that sugar can be bad news when it comes to oral health, and that it should be consumed in moderation. But if you need a quick fix that will satisfy your child’s sweet tooth without giving it a cavity, here are some suggestions for you! The following kid-friendly sweet treats and snacks are quick and easy to prepare, and though sweet, are low in sugar. They’re also more nutritious than a lot of the pre-packaged sweet treats available at the grocery store! The only ingredients you need for this are strawberries and some semi-sweet chocolate. Melt the chocolate slowly in the microwave, stirring periodically. 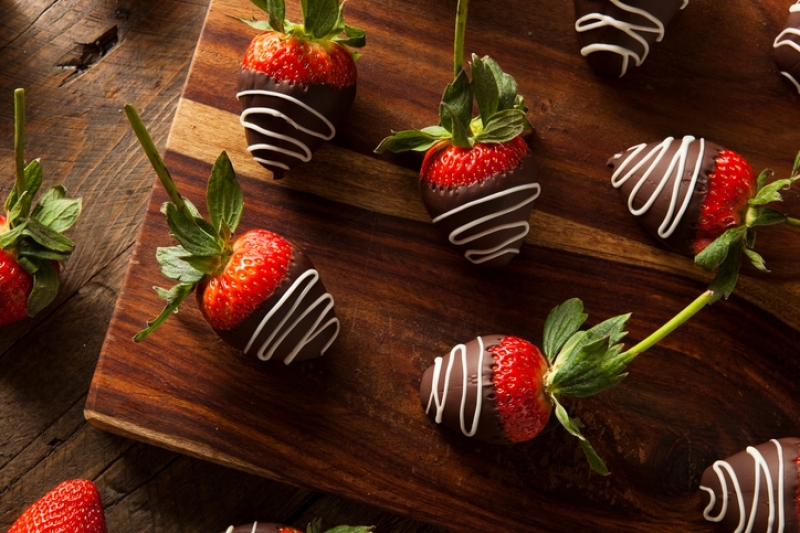 Dip the strawberries in the melted chocolate, then chill in the fridge until the chocolate has hardened. Delicious, sweet and refreshing in equal measure! Same idea as above. Slice up a banana, melt some semi-sweet chocolate, dip, and freeze. Yogurt parfaits can be fun for younger kids, especially if you let them to select their own toppings. Choose plain or low-sugar vanilla yogurt, and then just liberally sprinkle on the toppings. Some suggestions: sugar-free granola, nuts, fruit, and semi-sweet chocolate shavings. ...and blend until smooth. Yum! First, toast a slice of whole grain bread. Then, simply top it with some butter, a hearty sprinkle of cinnamon, and a slightly less hearty sprinkle of sugar (a little is okay once in a while!). Serve with a glass of milk for the added calcium. For more tips on eating for good oral health, check out the Smile Town Langley Health & Nutrition Blog, or get in touch with our team today!